Made ever more popular by the TV series and the reality shows, the O.C. is the ultimate sun-drenched playground for a dream bachelor/bachelorette party or getaway. 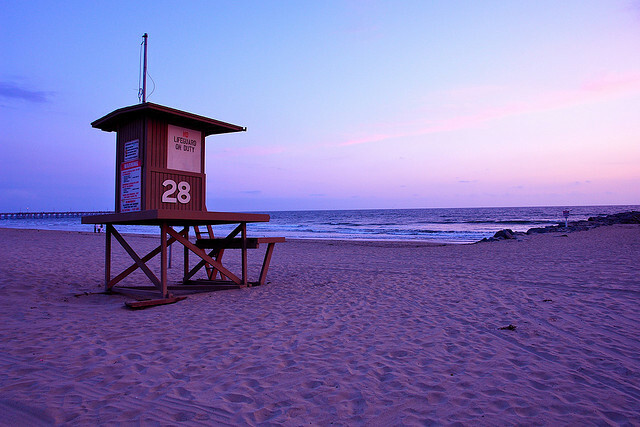 With it twenty-four miles of white sandy shoreline, awesome sunsets and tropical flowers and palm trees, Orange County has earned its reputation as the "California Riviera." While the fams and kiddies are packing it in with the crowds at the amusement parks, head instead to the coast with your friends. Planning a bachelor/bachelorette party or a getaway with friends? Send online invitations and manage bash details with LastBash.com, the easiest way to organize your friends. It's FREE - Get started now! Be pampered at a posh beach resort or explore the funky arts scene in Laguna Beach. Charter a boat to explore the breathtaking coastline from exclusive Newport Beach, the richest city in the U.S. Hit the surf at Huntington Beach, aka Surf City USA, where more than 50 annual surf competitions take place. Embrace the culture at Costa Mesa with its new Orange County Performing Arts Center and the South Coast Repertory. Shop to your heart's content at South Coast Plaza, the first recognized shopping resort in the country. Or make a day trip to nearby Catalina Island. No matter what you plan for your itinerary, you'll find unforgettable sun and fun in this little slice of heaven.